The civil parish of Asselby is formed by the village of Asselby and the hamlet of Knedlington, together with the part of Boothferry village west of the B1228 road. The other part of Boothferry east to the B1228 lies within the parish of Howden. 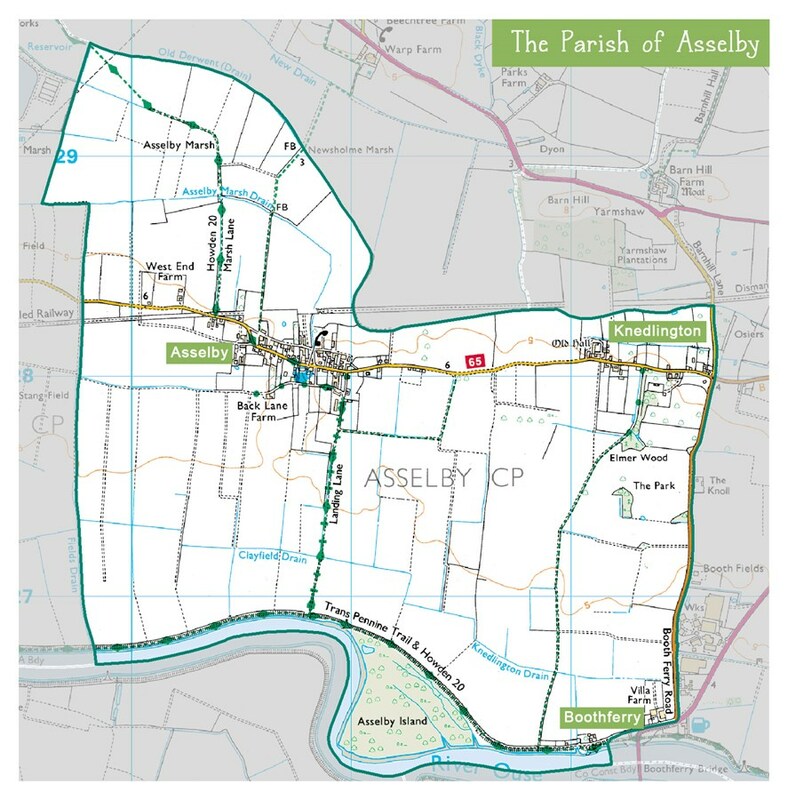 Asselby parish covers an area of 1,314.9 acres. Unusually, Asselby is situated on an entirely dead-end road, which finishes in the next village Barmby on the Marsh.